Just a quick announcement for Android users out there - Caveman HD is coming soon! Yep, you heard it right - after being available for a number of platforms for just over five years, we brought in our friends from Samebits UG to help get the game running on the Android platform. The porting effort was around a week of work and we are currently preparing it for a beta to ensure it works on a range of devices. The game will be free and will utilize advertising - we have decided not to disrupt valuable screen real estate with banners while playing the game, instead we will show full screen ads between levels. This will be our first Android game so bare with us while we get settled. We have tested the game on Android 2.3.5 - meaning 99.9% of devices will be compatible. We are looking at also providing a paid version for those who do not want to see advertising. Thanks to an expedited review request - Caveman and Caveman HD have been approved and are now available for download to resolve the iOS 9.x issues that had plagued the game and frustrated so many of our users over the past few months. Mobile 1UP would like to once again thank our supporters for keeping the spirit of the games alive; we are just as passionate about playing the games as we are about creating them. To us; being authentic to the original is what we do - see below for our special easter egg! 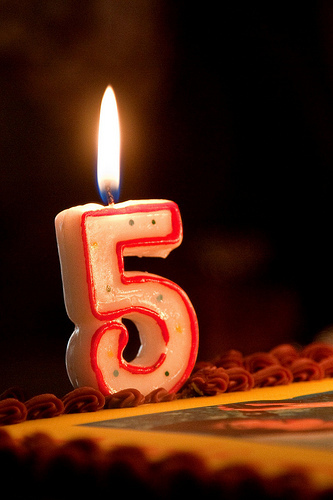 As a matter of fact, Caveman is five years old this month! The first version of Caveman was released on 31st March 2011 and we have seen almost 50,000 sales over this period - not a bad feat at all! I would like to reach out to Tomas Miller (artwork) and Michael McGee (audio) who helped make this project be a success. Did you know we put a real special easter egg in Caveman? In the above code, i represents the day and j represents the month. Simply put in the value for date set on your device and it should give you a number starting with 8. Then enter the code into the game and see our surprise! If you just want codes - open this secrets file. With these codes; you can see how authentic our game is to the original Lemmings game! >> iOS 9.x ISSUE - INVESTIGATED AND SOLVED! I would like to personally thank the people who used the contact me form on the website and being patient while we investigated the issue with our games running on iOS 9.x devices. It seems that not all devices were affected either - my own iPad mini could be updated to iOS 9.3.1 and showed no problems. In the end; mainly retina based devices were affected. Unfortunately; the computer used to compile the games was sitting so long - the hard drive died and it was a painful mess to recover the source code from old backups scattered across various sources. Thankfully nothing was lost so diagnosing the issue was made a little easier. Of course; this has not been a problem on earlier versions of iOS - going way back to iOS 2.x; so why did apple decide that now was a time to enforce such a thing? In the end; the solution was quite simple, it seems I was not the only one with this issue. It seems that Apple isn't smart enough to realize that if there is only one view in the application; then it should be the root view. To make matters worse; the addSubview code was taken from one of the earlier sample applications that was provided with the iOS SDK. We will do some testing on some devices and from there hopefully submit a new version of our games over the next few days for approval by Apple. Hopefully if all goes to plan (approval) everyone should be able to get back to their Caveman goodness! We defintely wanted to write about this to highlight that this was in fact a fault from Apple - not ourselves. Mobile 1UP is proud to announce that Caveman HD has a status upgrade! Caveman HD has been approved for the prestigeous "Build for BlackBerry™" certification program - wasn't easy, but this puts Caveman HD in the top of the "list" of high quality applications that has passed the certification tests by the BlackBerry team. This App has achieved the Built for BlackBerry™ designation. at RIM and will deliver a quality BlackBerry® 10 experience. This is a great milestone for Mobile 1UP - we are proud to have been part of the team and supporting the BlackBerry 10 platform! >> CAVEMAN HD - PIXEL PARTICLE EXPLOSION - PURE RETRO! Mobile 1UP felt extremely festive this morning - check out the video. Just like the original game - a pixel particle explosion instead of a not so cool animation. It will be included in the version 1.2.3 update that will be submitted to your favourite device store in the near future. Oh, we just made a video with the original Lemmings graphics so you could remember that lovely popping sound and put a smile on your face. out to all platforms at the same time. 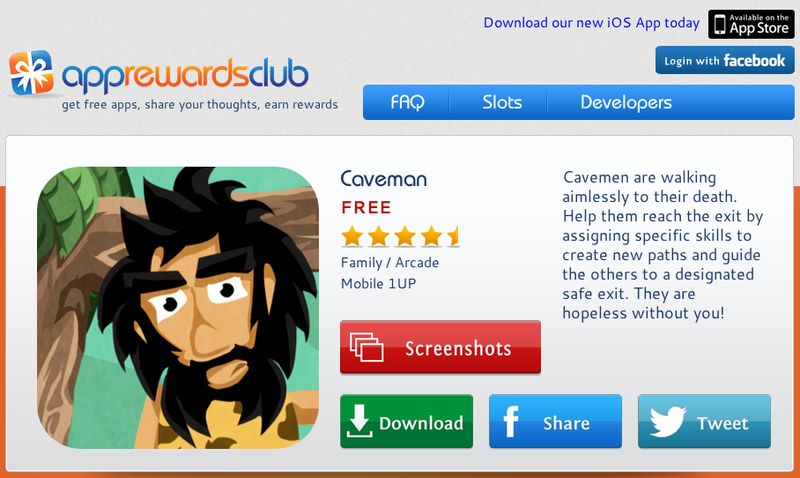 Mobile 1UP has made Caveman free for a limited time only! to get noticed and visibility - Caveman will be FREE for a limited time! 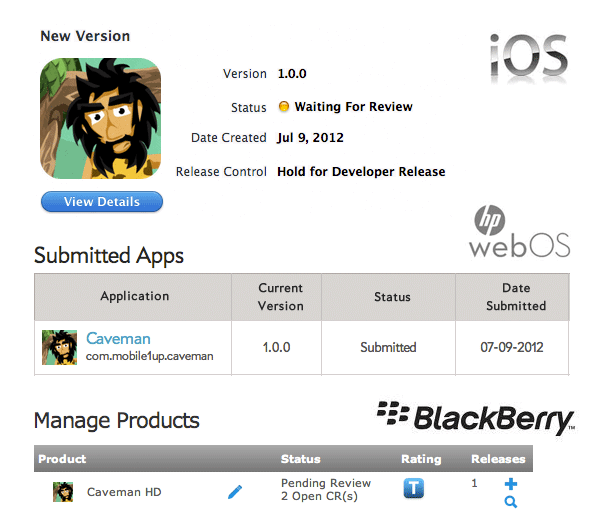 test Caveman free and upgrade for the best experience on the iOS platform! tonne of entries, it was very difficult to choose the winners! The winners received a $15 iTunes gift-card to spend on more stuff! sets are needed in combination to get them safely to their exit portal. are kind of a no brainer but the last 3 "easy" levels are a bit challenging. the full game may get with medium, obscure, and insane categories beckoning. Fortunately the developer has a secret YouTube channel that you can "consult"
should the challenge become too frustrating. end. Quick thinking & master planning is needed to guide them to the exit. Accept no imitations if you are a lemming fan! to unlock. Absolutely worth the upgrade. version is way cooler and easier to use. special properties. If you're not careful they tend to swarm like ants!! free complete levels. The full version is HD & optimized for the iPad. Definitely worth getting if you are a fan of unique puzzles. great help for indie developers so this was a gift back the community. Mobile 1UP received some welcomed feedback and bug reports - thanks! Mobile 1UP has submitted new binaries for review and they should be published in the upcoming days (depending on the platform review process). This is an update for all platforms: iOS, webOS, BlackBerry PlayBook and Mac OSX - keep an eye out for it. >> CAVEMAN HD - MAC OSX! 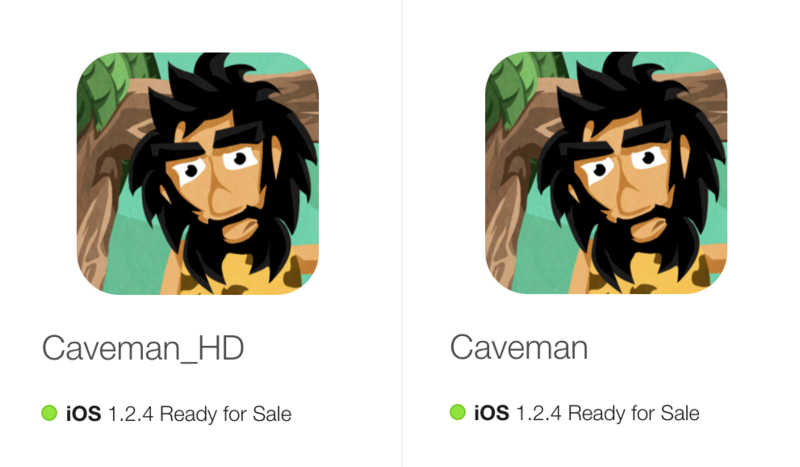 Mobile 1UP is happy to announce Caveman HD for Mac OSX! Mobile 1UP made extensive changes and adaptions to the mobile version of the game specifically for the desktop computer - utilizing the keyboard, mouse and different user expectations. The Mac OSX version is the first - version for Windows and Linux are planned. Mobile 1UP has submitted new binaries for review and they should be published in the upcoming days. We had a small issue with out Mac OSX version showing an iPad in the tutorial, so we had to fix that and it is also going through the review process right now. We will also start working on a trailer to help drive up the interest and we hope we can get some publicity so everyone can enjoy the game! Please do keep sending us feedback, as you can see we have made a number of user-driven changes to the game! 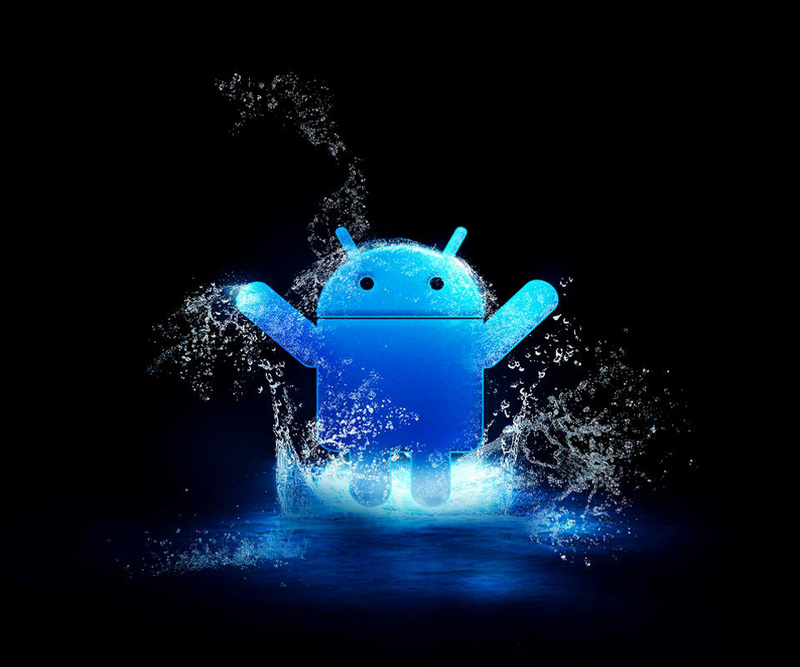 Mobile 1UP has submitted new binaries for review (update: all approved). In addition to the full versions, all mobile platforms now have LITE versions (100% free, 10 levels included) for you to give the game a test run before making a decision to purchase it. Please do keep the feedback coming in! A number of great improvements and suggestions are coming up - some already implemented. Mobile 1UP will post more information here on the blog once new versions are available and features/suggestions have been integrated. Mobile 1UP is eagerly awaiting the approval of Caveman HD for the Mac AppStore™ - we hope it will be welcomed by all, a number of changes have been made to make it desktop friendly. Available soon if all goes well with the review process. Mobile 1UP has submitted new binaries for review - we hope to see the update start rolling out to your devices in the upcoming days (two weeks when it comes to iOS). In addition for all the mobile platforms supported, LITE versions (completely free) have been submitted so you can get a feel for the game about before purchasing it. After 11 days in the review process/queue - the Apple review gods have approved the iOS versions as well - making the game available for the iPod Touch / iPhone ($2.99 USD) and the iPad ($4.99 USD). Mobile 1UP promised desktop versions of Caveman HD - Mac OSX first! To provide the best experience the game runs as a full screen application (1024x768 stretched) and we have made a number of adaptations from the mobile version to the desktop version (mouse, keyboard et al). The Apple Mac App Store only provides distribution for Intel Mac OSX computers running Mac OSX OSX 10.6.6 or later however we have also built versions for PowerPC and Intel - which we will distribute via our own online store. The desktop version will be $9.99 USD. In case you have not noticed, the game is already available for the BlackBerry Playbook ($4.99 USD), Palm Pre/Pre 2 ($2.99 USD) and the HP TouchPad ($4.99 USD). We are praying to the mighty Apple gods iOS - lets hope they review and approve soon! >> CAVEMAN / CAVEMAN HD VERSION 1.0 - YAY! Mobile 1UP has just spent the weekend working hard finishing up Caveman! As you can see; there are THREE (3) PLATFORMS in the review process right now; bets are on the BlackBerry review process finishing first; then webos (due to technical issues during submission) and followed up with iOS. Keep and eye out for it in your local App World, App Catalog and App Stores! 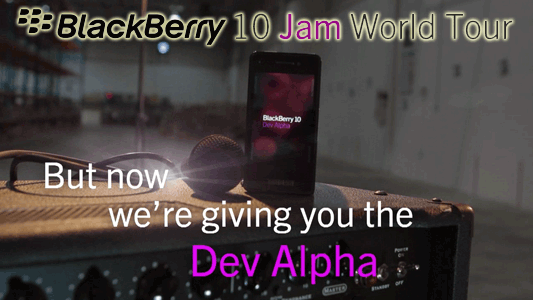 >> BLACKBERRY 10 WORLD JAM TOUR + CAVEMAN HD! Just in case you haven't heard - Mobile 1UP has been touring the #bb10jam's in EMEA! Mobile 1UP has been demonstrating Caveman HD 'as it gets developed' - so far at the Barcelona, London, Berlin, Warsaw and the Dubai event that is scheduled for next week. The biggest hit at the show is the "easter egg" unlock code (this code will change daily btw). That is a whopping 5.0 gigabytes of assets/code! As part of the version 1.0 launch we have created solution videos (1024x768) of every single level - which comprises around 3.0 gigabytes of that asset base (H264 MP4). Some of these levels are tough and wont be "simple" - so everyone will be kept busy for hours on end! - +30 levels (OBSCURE SET) - yippee! - +30 levels (INSANE SET) - yippee! The CHANGELIST.TXT includes a number of bugs that have been reported and added a tonne of new features/functionality - but let's not forget the all important rounding off the game to the milestone of version 1.0. Mobile 1UP will be uploading a version for release/review in the upcoming days! Mobile 1UP will keep you posted - let's hope the submissions go through without problems! Well - that was quick! (SDK, porting and publishing). Mobile 1UP has successfully posted Cronk to BlackBerry AppWorld™ to extend the selection of devices supported by the cross-platform framework. It is available for $2.99 USD or the equivalent local currency. 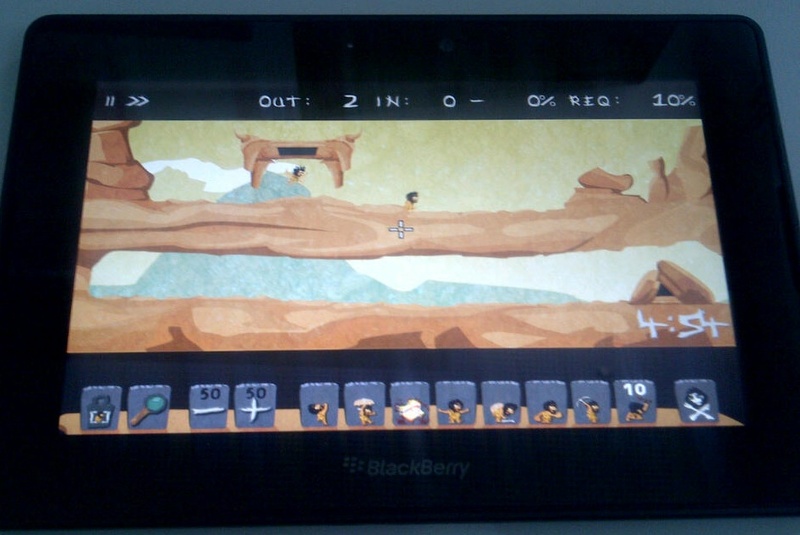 Mobile 1UP has successfully ported to BlackBerry 10 (Playbook) devices - it was not that difficult (BPS, POSIX, asound), a small break while going the final play testing (and video recording to prove/ensure solutions) of all remaining levels. Mobile 1UP will also be at the Nordic Game Conference on May 23-25, 2012. >> ALL 120 LEVELS COMPLETED! Mobile 1UP has finally generated all 120 Caveman levels! To give you an idea of what is involved; look at the statistics below - the uncompressed assets vs the compressed assets (precious space on device) and the amount of time it takes to generate the final assets for distribution. Mobile 1UP is now doing the play testing and recording of the solutions to ensure that the game is 100% solvable - a tonne of new features have been added so this update will be hitting to application market places well received. older blog entries have been archived and are no longer relevant or visible. "iPhone" and "iPod Touch" are registered trademarks of Apple, Inc.